Please note that this website is still under construction! Within the vast and accelerating field of global transformation, the outline of a new global civilization is just starting to be visible. For most people, however, the world still looks as if it is in a wildly chaotic state. 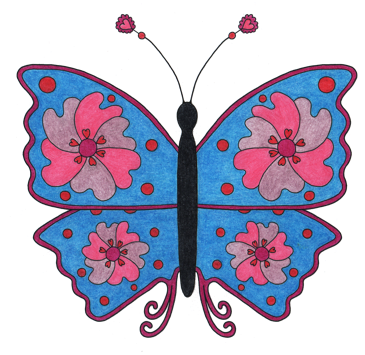 As you will learn on this website—and even more in Norie’s book, Return To The Garden—butterflies have much to teach us about what’s now unfolding and how we can discover our own special part to play in this great transformation we are all part of. Are you feeling confused and anxious about your life? Are you worried about rapidly unfolding events in the world? Such feelings are quite understandable now, as the world we’ve known seems to be rapidly changing beyond recognition. We human beings are going through the greatest transformation we've ever been through, in a very short period of time, at an ever-accelerating rate of change. of 24 of Norie’s butterflies.